You can also aggregate data by value change. The usage is quite simple, please define from which datalog and what tags should be tracked for value change. When value in data log changes it is used as aggregate interval. 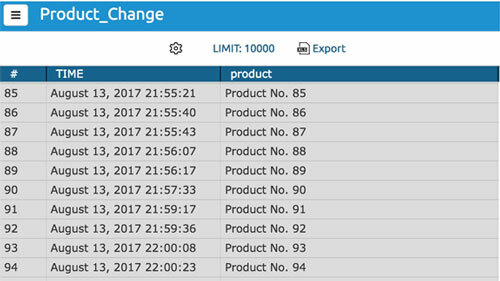 To use Value Change Aggregates, select the “Aggregate by Value Change” check box and add at least one item by which you want to track value change. 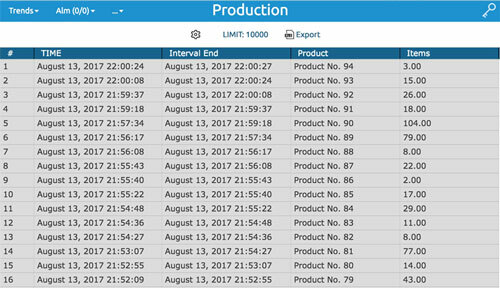 We will create an aggregated data log, which will show how many items we have produced for each product.